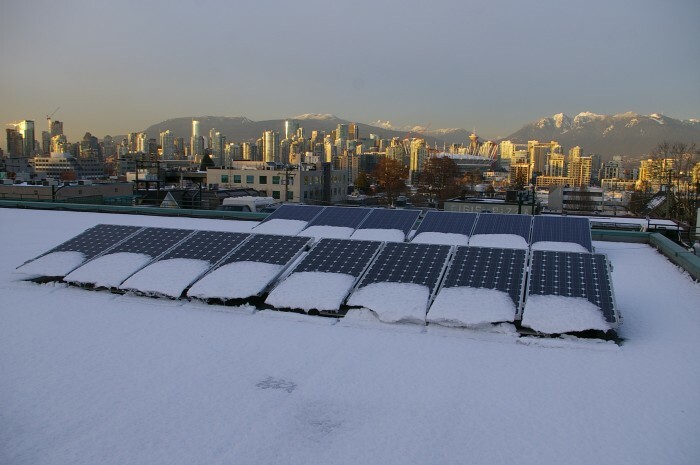 With the unusual snow fall here on BC’s south coast we have been getting a few questions about how snow fall will affect the performance of solar energy systems. A study done in Ontario (where snowfall is much greater) found that snow had less than a 7% affect on solar production annually. 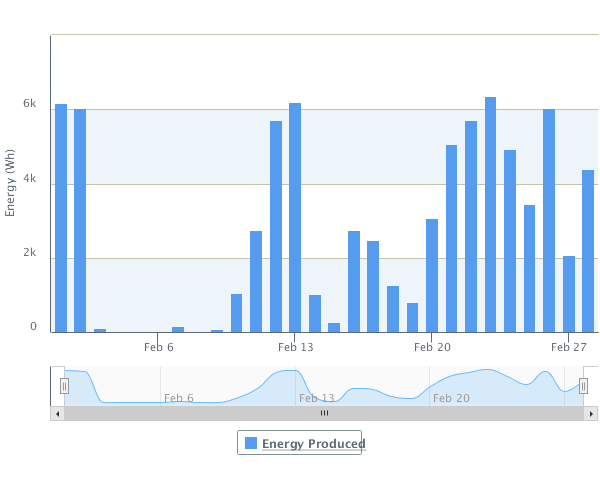 The graphs below show production in December and February from one of the systems we installed in Metro Vancouver. Even though these were the months were we received significant snow fall there were only a couple of days where the production was completely shutdown. 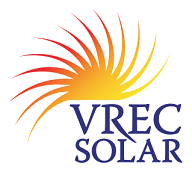 At this site the production in December averaged 51 kWh from 2013-2015. 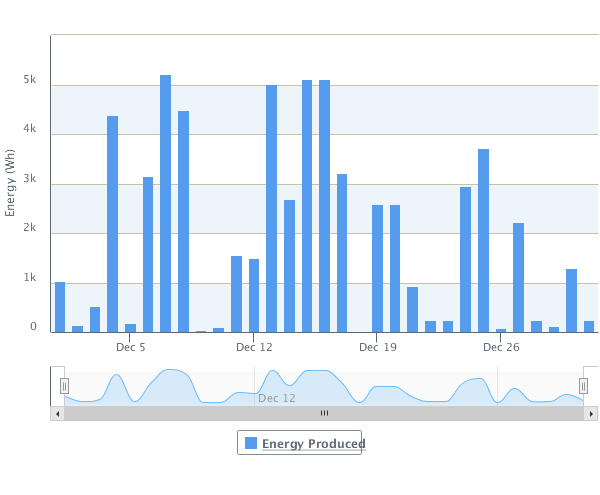 In December 2016 the system produced 61 kWh. So it was above average even in a month with significant snow. Removing snow from roof mounted solar arrays is not always easy. There are automatic snow removal system for PV panels (that use heat). But data suggests it might not be worth the extra cost and energy – especially in our climate.